I’ve been quiet for a while on the blog because I’m really buckling down on the WIP. I’m at the 40k word mark out of a projected 75k words, so I’m past halfway. I’ve got a hard deadline: finished, edited, and ready by May for the LDStoryMakers conference. I’ll be pitching to Michelle Wolfson of the Wolfson Literary Agency. I set a goal to read two books a month this year, and I’m proud to say I overachieved on that front. That may sound like a low bar, but consider that I’m attempting to write 2+ novels this year and also have a wife and four small children to tend to, and you’ll realize my time is actually rather short. Oh, and I’ve got a day job, too. So what did I read in January? THE KITCHEN GOD’S WIFE – Amy Tan. A beautifully-written haunting account of a woman’s escape from war-torn China. It languished a bit toward the end, and some of the character arcs felt a bit repetitive in the second half, but overall a book I’m happy to have on the bookshelf. THE ROAD – Cormac McCarthy. Also haunting, moreso than Amy Tan’s novel. This one is going to stick with me for a while. The story of a father’s struggles and journey in a post-apocalyptic world to find a safe haven for his son. McCarthy has a very unique style that may turn readers off, but I recommend you give it a spin. FRANKENSTEIN – Mary Shelley. This one was a surprise. I bet most people, when polled, would have no idea that the monster not only speaks, he’s actually quite intelligent. The public conception of FRANKENSTEIN based on that old virtually unrelated Universal film is quite unfortunate. So many people think this is a simple monster tale, some sort of thriller or slasher, that they skip out on what is perhaps the most profound novel I’ve read in quite some time. It’s a brilliant study on mankind’s place in the universe, why we need companionship, and why we need our parents to love us. If you haven’t read it, I urge you to add it to your queue. It’s rather short (my version clocked in at 190 pages) and worth every second you spend with it. 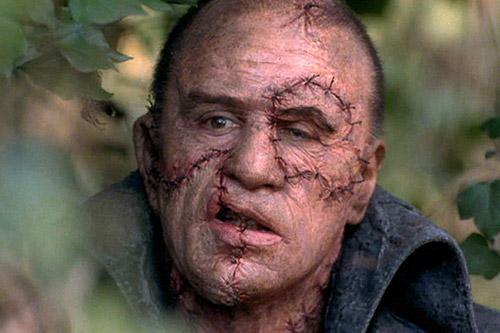 From the 1994 film "Frankenstein". Yes, that's Robert De Niro. And that also segues nicely into the Motivation part of this post. Writing is hard. Learning the craft is hard, finding the time is hard, understanding feedback is hard, and it’s very tempting to give up at times. Near the end of the novel FRANKENSTEIN (no spoilers, I promise!) Mr. Frankenstein gives a rousing speech in an attempt to halt a mutiny on a ship. I’ll only quote the first paragraph here, but the entire speech is rather motivational. I’m going to print it out and hang it on my office wall so it’s always nearby whenever I’m feeling the “I can’t do this / this is too hard” gremlins biting at my soul. Here’s to staying on target for your own Glorious Expedition. I’m a big Amy Tan fan. I think Bonesetter’s Daughter is her best, although Hundred Secret Senses is close behind, and then of course the classic Joy Luck Club. You can skip Saving Fish from Drowning, though, along with her recent e-story Rules for Virgins. Oh, and definitely check out her memoir, Opposite of Fate!! It’s partly about her life, partly about writing. But YMMV. After all, you liked Frankenstein and I hated it, haha. The Road is on my TBR list, though, so I’m glad to hear you enjoyed it! There’s a theme here. Oh and I also picked up a copy of THE TALE OF GENJI, but that’s a brick of a novel that I’ll probably have to exert a lot of effort to get through. We’ll see.